Celebrate community creativity in building initiatives for mitigation and adaptation activities that can be witnessed through exhibition activities. 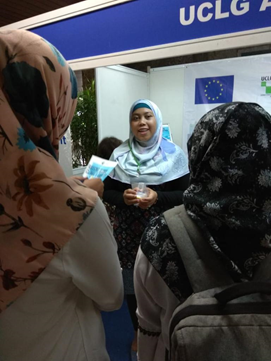 The EU Delegation was invited to take part in the panel session “Potential International Support on the Implementation Paris Agreement in Indonesia”. Other GCoM partners (namely UCLG, ICLEI and APEKSI) were invited to participate in a further event session on “Strengthening climate resilience at the regional level”. 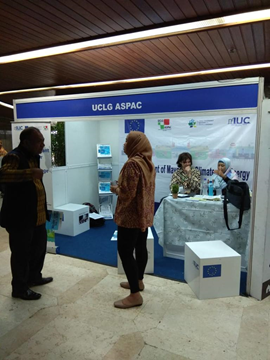 The IUC/Asia had a booth during the exhibition, where the GCoM initiative was highly promoted. The event itself provided good opportunities for networking and establishing new contacts. It was a successful meeting with a high number of participants. 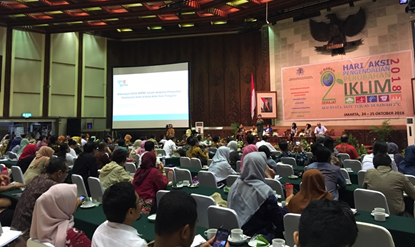 The event provided a wide and complete overview of the Climate Change initiatives currently on the ground in Indonesia, at national as well as at provincial/city levels.